This short book is a very poignant insight into how HD affects every member of a family.Most of the family members are not writers by profession, but you can't criticize them for speaking from their hearts.It's a devastating story to tell, and we should all be grateful that people like the Sulaimans are willing to share it.But in the end, it's important to know that this book is not a medical text and describes but one family's struggle.If you are looking for a more informative, well-rounded explanation, or if you want to know the cold, hard facts (such as physical symptoms, disease progression, prognosis, etc. ), then this book is not a great starting point. As I have said in other reviews, the body of knowledge on HD is nearly nonexistent.Oliver Quarrell's book, Huntington's Disease (The Facts), is probably the most concise introduction, and the few books authored by and about the Wexler family offer an interesting historical and personal perspective (Mapping Fate: A Memoir of Family, Risk, and Genetic Research; The Woman Who Walked into the Sea: Huntington's and the Making of a Genetic Disease; and Gene Hunter: The Story of Neuropsychologist Nancy Wexler (Women's Adventures in Science), which, although written for young adults, is advanced enough for grown-up readers as well).And of course, the consummate resource for the latest medical information on HD remains the Huntington's Disease Lighthouse, an indispensable website to which Amazon refuses to let me post a link. My mother has huntingtons before i read this book i had nothing to compare my life too i didnt know if the stages that my mother was going through were normal or not but after reading this book i finally have someone to relate too! 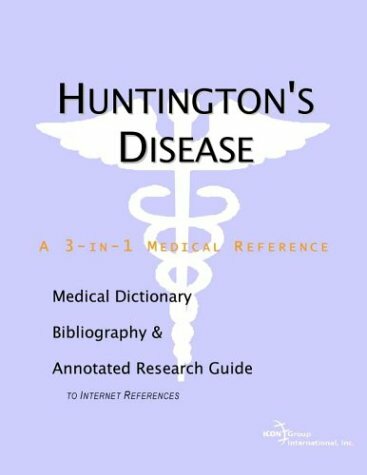 A book for all involved who live with Huntington's Disease! So many people have written rave reviews to the Sulaiman's and the publisher on this book, I was surprised not to see any posted under Amazon's book review! Huntington's Disease has been so intricately entwined into the fabric of my life since the early 1980's when my only child, Kelly, was diagnosed with the Juvenile form of this devastating disease.Throughout Kelly's life, and since her death at age 30 to complications of JHD in 1998, I have been deeply involved in trying to help families living with Huntington's Disease by providing resources and support where I can. 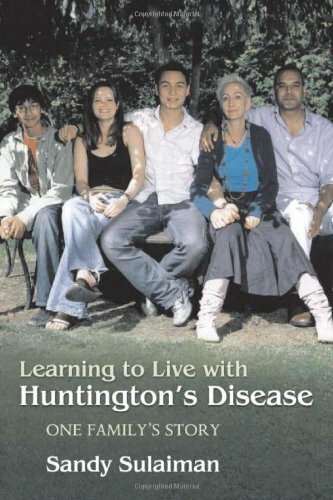 "Learning to Live With Huntington's Disease: One Family's Story" is one of the best non-fictional books on HD to be written since Carman Leal's "Faces of Huntington's" was published in 1998!Whether you are a professional involved in providing support to HD families, a person diagnosed with HD, a young person growing up in an HD family, a person at-risk for inheriting the disease, a friend or a relative of a family living with HD, or a spouse thrown into the role of a "caregiver" in an HD family, each chapter in this book not only will touch your heart but will provide you with insight on how this disease affects every single aspect of the life of anyone who is living with HD! I highly recommend reading "Learning to Live With Huntington's Disease: One Family's Story"! HDSA HD CoE at USF~Tampa, FL. 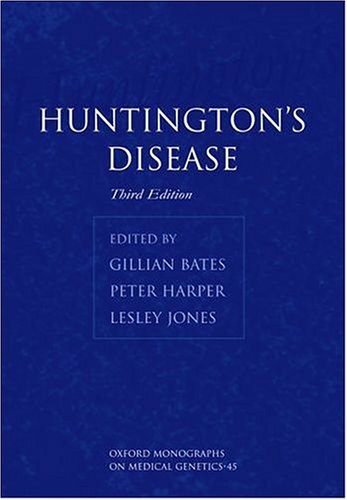 Huntington's disease is a genetically inherited condition which results in severe nerve-cell damage in the brain. The hereditary and debilitative nature of the disease means that many people are involved either directly or indirectly by this condition. The recent identification of the faulty gene involved has made the diagnosis of this condition simpler. The majority of people develop the disease between the ages of 35 and 55 years, so for those aware of their genetic risk there are dilemmas to consider - should you have a test to see if you have the gene?Should you start a family? 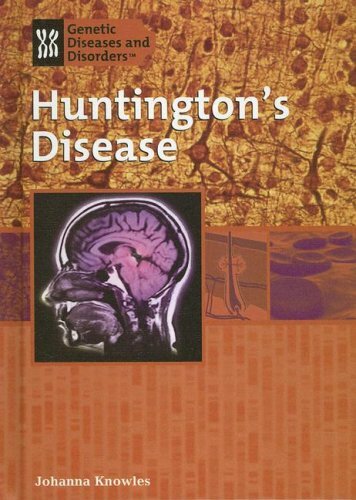 In 1993, the genetic mutation responsible for Huntington’s disease (HD) was identified. Considered a milestone in human genomics, this discovery has led to nearly two decades of remarkable progress that has greatly increased our knowledge of HD, and documented an unexpectedly large and diverse range of biochemical and genetic perturbations that seem to result directly from the expression of the mutant huntingtin gene. While the development of effective drug treatments for Huntington's disease continues to be tremendously challenging, a highly interactive and cooperative community of researchers and clinical investigators now brings us to the threshold of potential breakthroughs in the quest for therapeutic agents. 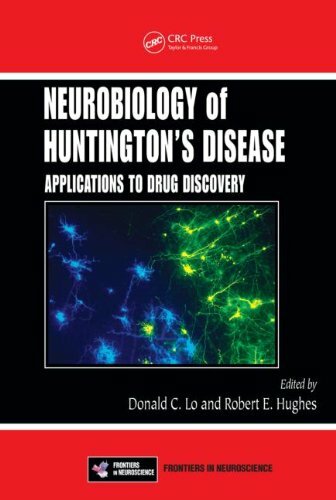 The impressive array of drug discovery resources outlined in the text holds much promise for treating this devastating disease, providing hope to long-suffering Huntington’s disease patients and their families. Faces of Huntington's is an incredible collection ofstories, essays, poems, and quotes of those who are in some wayconnected to Huntington's Disease. The book focuses on over sixty people who have HD, are at risk,caregivers, other family members, adn friends. It is a beacon of lightin what is often a dark world. 30,000 Americans have this terminal neurological disorder. Anadditional 150,000 are at-risk. Somehow, despite the horror ofHuntington's Disease, there is loving support, a positive attitude,and unending hope. There are stories that make you rejoice at theunswerving faith and those that make you cry at the senseless loss. Leal has done a fantastic job putting faces with a disease that most people know nothing about. She puts the reader right in the midst of the agonizing decisions that people with Huntington's disease have to make. Since the disease is hereditary, should those with a history of Huntington's in their family get tested for the gene that causes the disease? Should those with the disease have children knowing that they could pass the disease along to the next generation? When, if ever, is it time for the person with the disease to move to a nursing home? I didn't know anything about Huntington's before I read Leal's book. After reading it, I have a deep appreciation for the struggles that families face after a positive diagnosis. If you are looking for a book about Huntington's that doesn't gloss over the hard parts of life and yet at the same time shows you what faces of courage, hope and faith can look like during trials, then this book is for you. If You're Interested in Huntington's, Read This Book. As a healthcare professional I've worked with a few hundred families touched by HD over the last 17 years. Among those families, this book "Faces..." is known as a tool for hope, support and inspiration. I have purchased many copies of this book over the last few years and given it as a gift to families. The positive reviews here clearly reflect the overwhelming praise that this book reliably receives from folks touched by HD. I respect the views of the folks who've posted those negative comments. HD is the worst damn disease that can touch a family and it manifests itself in unlimited ways. And everyone handles it in their own unique way. However, it would be sad ifa family looking for a source of hope like this one turned away from it because of those comments. The overwhelming percentage of folks who've read this book talk about it as an important source of hope and support for themselves. Read it and see for yourself! I am in the early stages of HD and I can understand the negative review.My wife has promised me that if my mind becomes that of a four year old, she will not dress me as a four year old and take me to an amusement park and allow strangers to photograph me.I know at that time I might not notice the loss of dignity, but I care now.If we do go, I want to go as an adult with HD, not wearing a "Goofy" shirt. The author seem insensitive to me. I just re-read Faces of Huntington's and decided it was time to write a review. I am so thankful this book was written and published. Again I was amazed at the author's sensitivity and her ability to pack so much into one book. For far too long there was nothing written about this disease except what was in a medical book. There was certainly nothing about the people themselves. I liked how so many people were included and not just the author. This gave us a much more complete and accurate picture of the disease from all sides. I was amazed to read the negative review. I understand that not everyone sees the glass half full versus the 99% empty the person who reviewed the book sees. But the review seemed more an attack on the author's character rather than on her work. I feel really sad that someone is so bitter they can't see anything but ugliness no matter where they look. Makes me wonder did they really read the book since in the book I read had stories about suicide, abuse, juvenile Huntington's, death and other real effects of this devastating disease. When I read the review I wondered why this person doesn't write their own book filled with their 42 years of experience. Faces of Huntington's is one of those books I know I will go back to many times over the years and will recommend to others. I have purchased the book Faces of Huntington's,read it,and recommended it to friends. This was a book that needed to be written. For the first time I was able to read stories of other people dealing with this disease,like I am. It is a book that is very easy to read. Not all stories are sad , and that was encouraging. You will find ways to handle your problems by reading how others have. 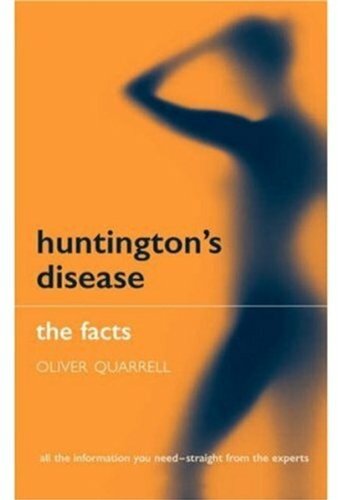 I read this book in French, so I cannot comment on the translation, but I do disagree with the above comments regarding the content.Anyone who is considering the test for Huntington's Disease should read this book.I found it thought-provoking and worthwhile. My wife has Huntington's Disease and our two sons have this issue to face themselves (whether to take the test that will tell them if they have the rogue gene and will inherit Huntington's Disease, or whether to continue living with uncertainty; with the 50/50 risk of developing the symptoms in their late 30s or 40s). So, I bought The Test to see if there is any insightful thinking in it that could help them. There isn't. Journalists assume they can write books (the author is a journalist). I know this because I am a journalist and too many of my colleagues assume book-writing is the same skill. It clearly isn't. Also, as no translator is credited at the beginning of the book, I assume Mr. Barema either wrote it in English himself or wrote two versions - one in English and the other in French - on the assumption that his English writing was good enough for the publisher not to get a translator in to do the English version for him (he is French, but spends a lot of time in the USA and studied in the US). Unfortunately, the English is not good enough. It lacks subtlety and, often, clarity. And, as another reviewer has mentioned, below, the facts are too often simply wrong, which is far too casual and thoughtless when the subject matter is so vital for the readers, many of whom will be at risk themselves and will have bought the book for help in dealing with that. I don't think they will find it, as I don't think it was written to help anyone. It seems to be more of an attempt to turn a personal misfortune into a dramatic work. The material has to be researched and absolutely right so as not to mislead readers who are in the same situation as the author, for whom this is information literally about their own life or death. This book isn't well-researched. Nor is it well structured. I helped my wife put together her just-published book Learning To Live With Huntington's Disease, and we know how people at risk of this illness need information that has been checked and double-checked to avoid misleading them. Despite the author's obvious love for his sister and brother, and his horror that they have the disease, there is also a lack of empathy for people with Huntington's in this book that I found shallow. The other people around the author, who are supposed to be central characters to his story, are shadowy and insubstantial and you never get a proper sense of them. You get the feeling the author doesn't either. People with this illness do not have 'nothing in their heads', as Mr. Barema seems to assume sometimes. Nor are they all insane or monstrous, as he says on several occasions. He seems to be over-generalizing from the terrible stories and experiences he had as a child when his mother was dying with Huntington's Disease. Even in the last stages of the illness this is not necessarily always the case. It seems to me his own fear of the illness has led him to play up the cliches. You can live positively with this illness, even to the last, with enough determination and love.I suspect I am being too harsh. I know my own older son went through several years where he was living a life off the rails, where he was focussed on himself and not on those around him properly. Who can blame him when he had to absorb the information that there was a 50% chance he would not have a future. He pulled through that stage after several years and got himself back together, after we almost lost him. I feel someone at that stage of the grieving process (this is a process of grieving for your future) who has come through the 'why me?' self-obsessed phase should have written this book to encourage people at risk to realize that yes, it is common to fall apart as your world falls apart around you (which seems to be the stage Mr. Barema was at when writing this book), but that, with love from others AND yourself, you can come thru that stage and become strong again. As Hemingway wrote, the world breaks all of us. But some of us are strong at the broken places. Exactly the same applies to Huntington's Disease. I wish this had been a better book. As it is, I will not be recommending it to my sons as I think it would upset them more than help them. 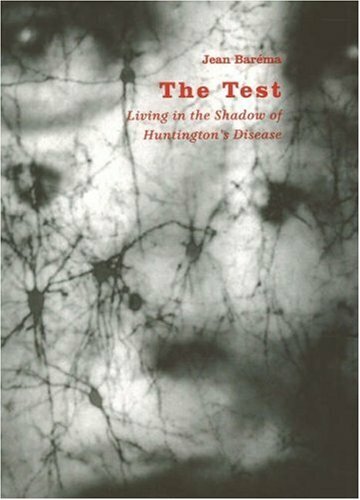 The Test is a journalist's first-person account of what it means to live at risk for Huntington's Disease. The everyday experience of hundreds of thousands, it is difficult for most people to imagine, and Jean Berera has done well in humanizing what media usually sell as unimaginable. The difficulties that HD brings to relationships within a family are thoughtfully addressed. I didn't give this book a higher rating because I disapprove of the author's (or editor's) decision not to disclose his gene status until the end of the book, using it as a kind of nonfictional plot device. In my reading, the suspense that this decision inevitably promoted detracted from the author's thoughtful reflections. Aside from the inaccurate statistics in this book, it does serve another purpose. Barema also writes about the issues of Huntington's Disease and the overwhelming struggle to live rationally while feeling irrational. It seems to be a good book for those considering testing for HD and a real effort to educate anyone who may think that taking "The Test" may be as simple as just getting a blood test. 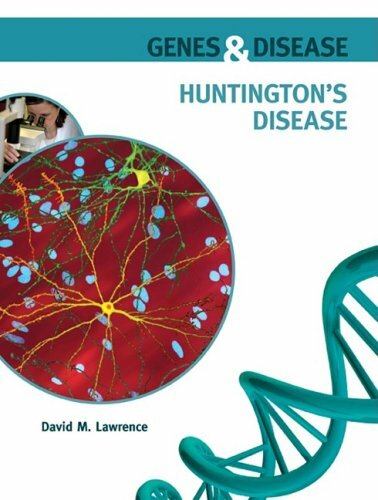 This is an excellent, comprehensive book about Huntington's Disease.It is written for doctors, scientists, and other professionals dealing with Huntington's Disease but can also be read by Huntington's Disease families who wish to gain a deeper understanding of the disease. 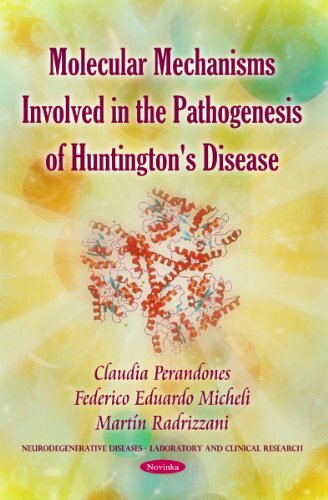 Each chapter is written by experts.There is information about the history of Huntington's Disease, its neuropathology, the psychiatric and behavioral problems, research, genetics, epidemiology, and the treatment of symptoms. In addition the information about HD that has been published in medical and scientific journals, there is some valuable information from clinical practice that can't be found elsewhere. When Phebe Hedges, a woman in East Hampton, New York, walked into the sea in 1806, she made visible the historical experience of a family affected by the dreaded disorder of movement, mind, and mood her neighbors called St.Vitus's dance. 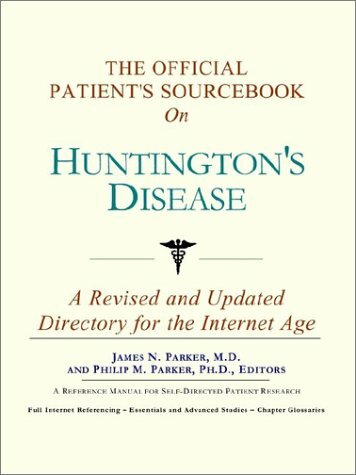 Doctors later spoke of Huntington’s chorea, and today it is known as Huntington's disease. This book is the first history of Huntington’s in America. 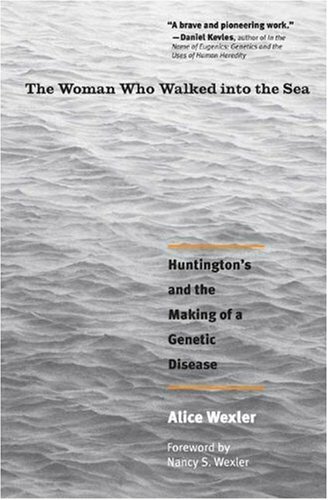 Starting with the life of Phebe Hedges, Alice Wexler uses Huntington’s as a lens to explore the changing meanings of heredity, disability, stigma, and medical knowledge among ordinary people as well as scientists and physicians. She addresses these themes through three overlapping stories: the lives of a nineteenth-century family once said to belong to the disease”; the emergence of Huntington’s chorea as a clinical entity; and the early-twentieth-century transformation of this disorder into a cautionary eugenics tale. In our own era of expanding genetic technologies, this history offers insights into the social contexts of medical and scientific knowledge, as well as the legacy of eugenics in shaping both the knowledge and the lived experience of this disease. This is good book for people with an interest in chorea.The book has some excellent information and fasinating history.However, it does seem like it has been expanded beyond the information the authors have.For example, the story of the women and the sea is told 4-5 times and get repetitive. This book is a rare glimpse into the history of a genetic disesase that has been moving to the front and center of genetic research ever since the gene for Huntington's disease was discovered in the early 1990's. This is a dense book, yet I was amazed at the speed with which I read it. Writers and editors must have worked hard to get this distillation of material that enlightens and informs in a way that keeps the reader absorbed and fascinated. I am from an HD family but I think if I were an MD interested in research, or an MD with a highly creative mind or simply a person with a curiosity about genetics as it unfolds in the context of community, this is a stimulating and exciting read. I expected to be interested, but am astounded, really, at what this book reveals about disease and community. Thank you Alice Wexler and to all those who supported you in this effort. I wish the whole medical community would read your book! Read through the media, and you'll find all sorts of opinions about what diseases deserve more research dollars.Sadly, I can't recall any major media pieces in recent years stressing the need for more focus on Huntington's disease.While it may be a rare condition, there is no illness I can think of that creates more dread in those at risk for developing it and creates more havoc on those who do develop it.Significantly more resources and compassion are needed to fight this illness. 1)A child born to a parent with Huntington's disease has a 50% chance of developing the illness later in life (if the child inherits a mutant form of the Huntington's gene from his/her parent, he/she has approximately 100% odds of developing the disease later in life). 2)Symptoms of Huntington's disease often develop around age 30 or later--after one has already had children--and late enough in life so that the children can see what happens to their affected parent. 3)Huntington's disease causes an progressive, unrelenting movement disorder (chorea) with progressive mental decline and death. 4)In the past (and no doubt today, too), patients with Huntington's disease and their blood relatives have been stigmitized and ostracized.Within the past century, attempts (some successful) have been made to sterilize patients and prevent them from marrying (in Germany and the US). 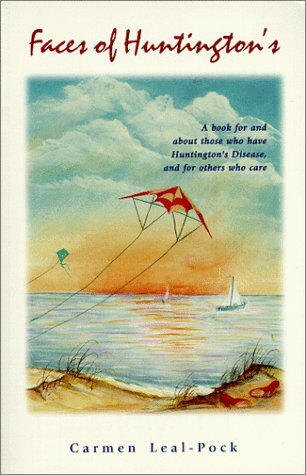 5)The disease may be so stigmitizing and physically destructive that children of Huntington's patients who start to develop symptoms are at risk for suicide.In fact, this book is based upon the story of a woman who develops symptoms and literally walks into the sea to end her life. The disease had been characterized by others well before George Huntington's major publication in 1872.However, Huntington meticulously demonstrated the autosomal dominant pattern of the disease--with about complete penetrance.At that time in history, perhaps only one form of blindness had been shown to have a similar strict, heritable pattern, but Huntington was unaware of that.Huntington also published his article only a few years after the Austrian Monk Mendel published his study on the heritable traits of peas--but Huntington was unaware of that paper too. Huntington's disease also goes by the name St. Vitus's dance and "the Magrums. "I have no idea where the name "Magrums" comes from--maybe I should reread the book.However, St. Vitus is a patron saint of dancers.Apparantly, epileptic and chorea patients used to pray to St. Vitus to try and cure their diseases. 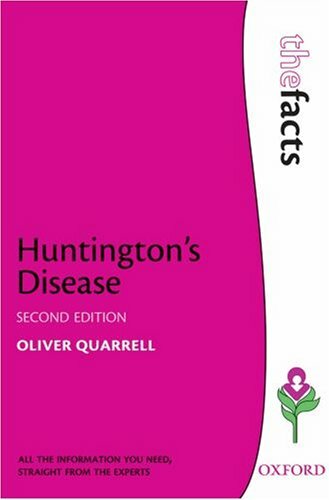 Doctors used to try and treat Huntington's disease with herbs, medicines such as opium & digitalis, and a healthy diet. William Osler was very interested in Huntington's disease, and admired Huntington's 1872 paper greatly.He even wrote to Huntington to try and arrange a trip to East Hampton to observe patients. He was initially rebuffed because the patients in East Hampton were extremely sensitive about their illness and didn't want to be observed. Huntington's patients became a target of the eugenics movement in the 20th century. This book is a VERY remedial introduction to the "world wide web" and is written for someone who thinks a computer is just a typewriter hooked up to a television.And since the internet changes every second, this book was outdated before it even went to print.Don't waste your money on this book - everything inside can be found online for free. I've purchased nearly every book on Amazon about HD, and I am very sorry to say that the body of knowledge on HD is frighteningly sparse.There really are no good books on HD unless you want to know the history of the disease or read about a particular family's struggle.